Need a stylish and convenient side table to hold your smartphone, remote, magazines and other items when you enjoy your favorite TV series on the sofa? 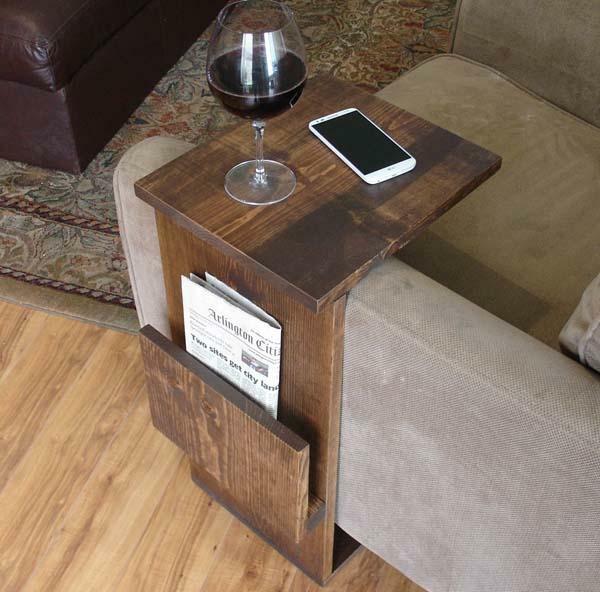 Take a look at the handmade sofa end table with side storage, it may be a nice solution. This is a well-crafted and functional sofa end table handmade by KeoDecor from Texas. As we can see from the images, the sofa end table sports a simple and elegant design, and it’s handmade with sanded wood and stained, sealed with a dark walnut finish in order to offer a durable construction and add fashionable and premium feeling to collaborate well with other furniture in your house. In addition to the big tray for your remote control, smartphone, coffee mug, and more, there is a storage slot on the side for your favorite newspaper and magazines. 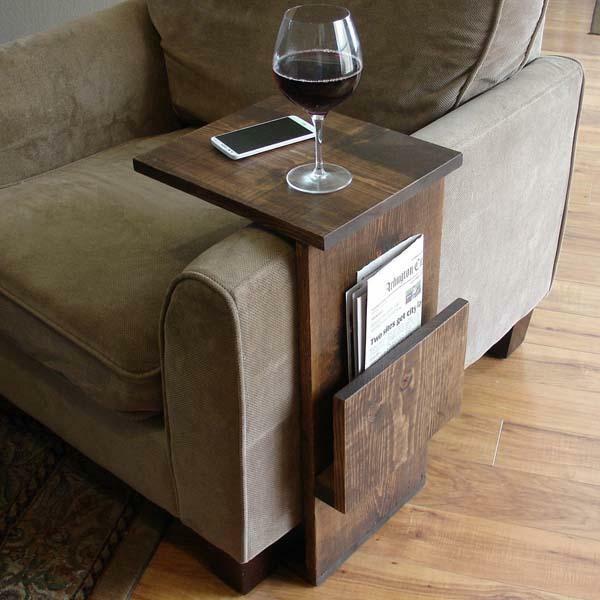 Moreover, its portable design lets you easily move and use the side table anywhere around the house. The size of the handmade sofa end table with side storage slot is customizable as needed, and each one is priced at $150 USD. If you like it, head to Etsy for more details.